The threat of having your income reduced or even eliminated due to your inhibited ability to work can be truly terrifying. You may feel overwhelmed by the prospect of providing for your basic needs, maintaining your medical care, and pursuing the activities that are important to you without adequate income. In this situation, Social Security Disability benefits, or SSDI, could be the solution that fills in the gaps that an injury or progressive condition leaves in your life and your bank account. However, the filing process is complex, and many applicants receive denials. Understanding your SSDI eligibility can help you determine whether applying is the right decision under your circumstances and allow you to provide the critical information necessary to receive the benefits you need. Many prospective SSDI applicants have misconceptions about their eligibility that can, unfortunately, cause them to procrastinate putting in their applications or decide against applying at all. While you may know some of the standard parameters the Social Security Administration, or SSA, evaluates to grant benefits, others may surprise you. An injury or condition that affects a breadwinner's ability to provide for his or her family can affect an entire household. You may be eligible to collect benefits based on your spouse's eligibility. This principle can also apply if you are divorced or widowed. This type of SSDI, known as survivor's benefits, may be granted to you if you have a disability that began before or within seven years of when you separated from or lost your spouse. 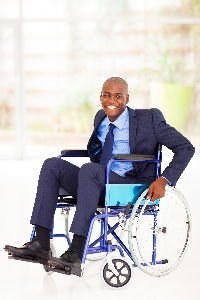 You may assume that your condition must prevent you from working at all in order to qualify you for SSDI. However, the SSA actually evaluates your income according to current standards for substantial gainful activity, or SGA, as indicated by the economic environment. As of 2018, if you make less than $1,180 each month, your income does not disqualify you from receiving benefits. The SSA recognizes a set of illnesses, injuries, and health conditions that can prevent individuals from working. This recognized list of medically qualifying conditions includes behavioral diagnoses, not just physical ones. Serious mental illness that inhibits your ability to find, keep, or perform the duties of a job could qualify you for benefits. The diagnoses recognized include depression, schizophrenia, and anxiety. If your diagnosis is not on the standardized list, the SSA may still grant SSDI benefits if the effects of your mental illness are proven to be severe. While most Social Security cases deal with an adult's ability to provide for his or herself and household, applications can also be submitted on behalf of some children. Children do not qualify for SSDI but may qualify for Social Security Income, or SSI, benefits if they have severe functional limitations related to a mental or physical condition. When evaluating applications, the SSA considers both the severity and the prognosis of the cited condition. While permanent injuries are more likely to be eligible for SSDI benefits, temporary injuries can qualify you for benefits while you recover. In order to qualify for short-term SSDI benefits, your injury must be projected to take at least one year to heal enough for you to work. SSDI application denials can occur for a number of reasons. One of the most fundamental reasons you may not receive benefits is if your injury or condition does not qualify you for benefits under the SSA's standards. Common disqualifying situations include the following. Many individuals who struggle with substance dependency also have difficulty maintaining gainful employment. However, while addiction is considered a medical condition, it is not a condition that can qualify you for Social Security benefits of any kind. The circumstances under which you sustained an injury can affect the SSA's decision regarding your application. If you were injured while committing a felony or while incarcerated, you cannot cite that injury in an application. As discussed in several previous sections, many SSA claims are decided based on the apparent severity of the condition in question. However, even if you objectively have a serious enough disability to need benefits, you cannot qualify for SSDI without evidence supporting this conclusion, including records that show a diagnosis, prognosis, and history of medical care. Determining your SSDI eligibility on your own can be difficult and, in some cases, virtually impossible without the insight of an experienced legal professional. A Social Security attorney can assist you with more than just appeals. Schedule a consultation before you submit your application to discuss the potential pitfalls in your claim. Your attorney can help you find the evidence you need, provide the information the SSA is looking for, file your application efficiently, and take any additional steps necessary with confidence. For help with your Social Security application, trust the team at Clearfield & Associates.